Brooklyn based Grado Labs doesn’t roll out a new headphone too often so when they do it’s usually a big deal. This is definitely the case with the brand new Grado PS2000e headphone. The PS2000e is part of the Professional series and touted as Grado’s flagship headphone because it’s quite extraordinary. This part futuristic and part retro looking headphone has something special inside that Grado hasn’t attempted before. The PS2000e is a hybrid headphone that mixes both a metal housing and maple wood inner chamber for a totally unique sound. 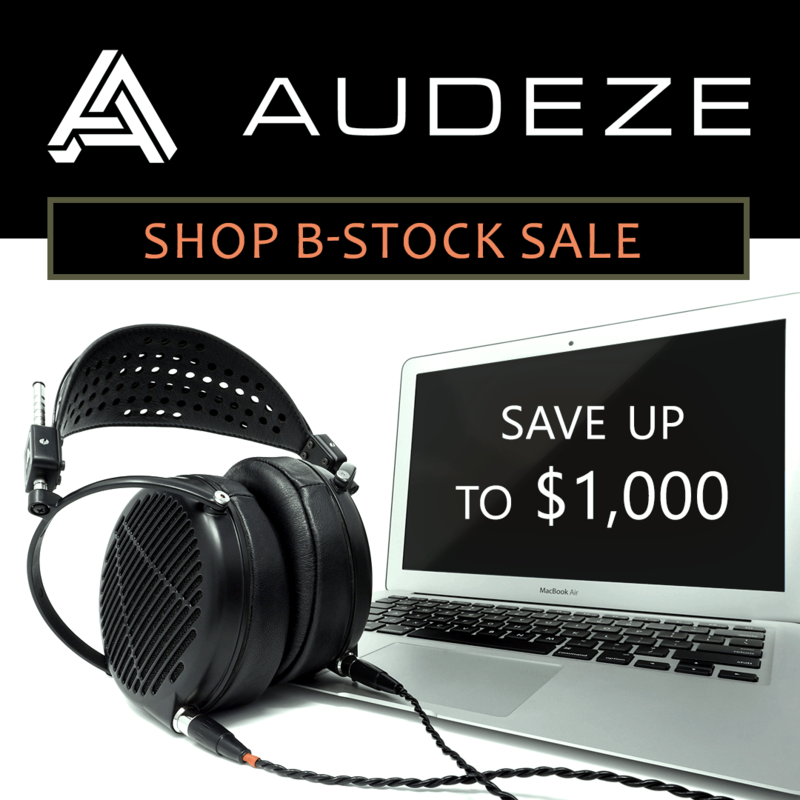 But what does this fairly big headphone have to offer in terms of sound to justify the hefty $2700 price tag? I have one of the first PS2000e headphones in front of me and I’m about to find out with a full review. The Grado PS2000e headphone comes packed well for extreme protection of the metal housings. The shiny smoke chrome metal backing looks like a finely polished machine and begs to be taken care of with the utmost care. Also in the box is an extra 15ft extension cable and a 1/4″ to 1/8″ adapter cable. The only extra things you’ll need here are fine tunes and a quality source to play them from. Grado has been making iconic looking headphones for many years now. Each headphone features a flat leather headband with round backing and sound chamber that truly set them apart from all headphones. Some headphones of course have a little bit more padding in the headband or ear pads. It really all depends on the price. The Grado PS2000e keeps with the tradition but steps it up a notch with a smoke chrome metal housing that shines like a couple of church bells on Sunday morning. It really makes you wonder what this headphone is going to sound like. It’s definitely impressive though. Inside the metal housing is the real secret of this headphone. Hand carved Maple wood brought about from the Grado GH1 makes this headphone a unique hybrid of metal and wood. A clever idea if implemented it correctly. The possibilities of harmonic resonance through both these materials should make an incredible listening experience. The PS2000e is a bit weighty but feels very durable. It’s not the kind of headphone you drag all around town though. This fine piece of equipment will likely stay in the home or studio 24/7. It’s tough and ready to play great tunes but watch out for those smoke chrome housings. They’re incredibly shiny and could get scratched or dented if you’re a careless headphone maniac. Grado headphones have varying degrees of comfort. The bigger and more expensive they get, the more comfortable the fit. The PS2000e has ample headroom and large ear pads to accomodate the big sound this headphone is supposed to output. My only issue with any Grado headphone is the ear pad foam. It’s just not my thing but I dig it just the same. Grado has a trendy but oldschool look to their headphones and this is simply part of the aesthetic. Checking out the specs on the PS200e open back headphone I find a lot of Grado standards. Dynamic drivers, Open-Air or open back housings, 32 Ohms impedance and an impressive frequency response of 5Hz to 50,000Hz. Without even looking at the specs you can tell the Grado PS2000e is designed to be an audiophile headphone used for fine listening or even studio reference. But the only way to really get the feel of how the maple wood and metal react to the music is to give it a good listen with some tunes I know well. The first thing I noticed with the Grado PS2000e is that it’s not quite as friendly with low output devices like smartphones as other Grado headphones. Although it’s 32 Ohms (and you can definitely play tunes from your phone) the PS2000e headphone does so much better with an amplifier. It’s not a big deal since most audiophiles and studio engineers use quality amplifiers. If you don’t have one and want to get the PS2000e headphone I highly recommend getting a good amplifier. It doesn’t have to be a beast either. Just something with a little extra push. A nice tube headphone amp like the HiFiMan EF100 would be perfect. How do you describe the sound of a headphone that’s completely different from all other headphones. First of all Grado open-back headphones tend to excel in the mid-frequency range making them great for jazz, symphonic, rock and vocal based music. Some of their headphones use a metal chamber for a special harmonic resonation making them more sonically pleasing for rock or metal genres. But the wood chamber of the GH1 tends to warm up the sound which can soften mids and highs that are a little to strong in the mix. I’ve found that the Grado wood chamber headphones actually sound good with many genres but a lot of audiophiles tend to pair them with jazz and classical. But the combination of metal and maple wood is something Grado hasn’t tried yet and after a couple years of trial and error they came up with the hybrid PS2000e open-back headphone. At first listen you can definitely hear how the effects of the maple and metal work together to resonate both a warm yet crisp output. The big surprise here though is the strong bass. Even though open-back headphones tend to let a lot of bass out, The PS2000e hybrid headphone manages to get a great bass response. The Soundstage on the PS2000e is quite good. But it’s to be expected with this large open-back headphone by Grado. When listening to just about any kind of music the sound fills up the room like a large stage. Wide panned instruments have depth and space in a way you won’t get in any kind of closed back. To sum up the Grado PS2000e hybrid open-back headphone, it’s one of the finest sounding headphones to come from Grado Labs so far. The genius concept of using maple wood for the sound chamber mixed with metal creates a totally unique sound that will please many audiophiles. No matter what your music preference I recommend at least testing a pair with your favorite tracks and I think you’ll hear your music in a totally new light. It’s a slight bit heavy but not uncomfortably so. The truth is it’s super cool looking, has a great frequency response including solid bass and the soundstage is outstanding. At a price of nearly $2700 it won’t be accessible to everybody but if you’ve got the scratch I’m suggesting you add it to your collection. The PS2000e hybrid open-back headphone really is a sonic glimpse of the future through glasses from the past.